We are proud to offer in house ultrasound technology for our patients. Dr. Todd and Dr. Meg are both skilled at performing thoracic and abdominal ultrasounds. 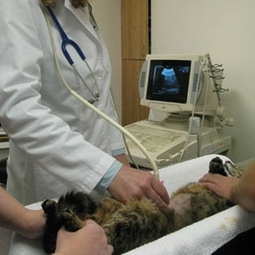 Ultrasound technology helps us diagnose bladder stones, liver disease, pancreatitis, kidney disease, and neoplasia.